Most law students, at least by the time they make their way to the Tarlton Law Library, have held a law book in their hands. Have you ever tried to envision how that book made its way from an author's text into a bound volume, ready to read? Or how many people were involved in the process? Those questions have very different answers depending on the book. At Tarlton, many of our earliest books are from what is known as the hand press era, the time period beginning with the creation of the printing press around 1450 and ending with the introduction of the mechanized press during the Industrial Revolution. Although the job of a book printer has changed dramatically since the hand press period, many aspects of modern books that we take for granted trace their origins to technologies pioneered during that time. Tarton's Special Collections department is highlighting a subset of early printers who often go unrecognized. Many of the pioneers of early legal printing were women. Women have always been involved in the making of books. Even before the innovation of movable type, religious women worked as scribes and bookmakers in convents. 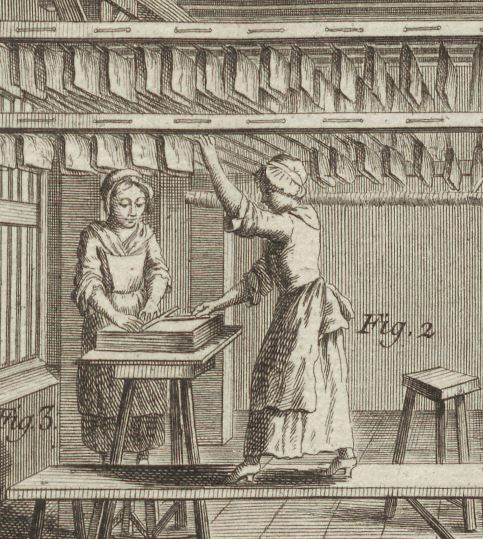 In early modern England, the daughter of a book printer might be expected to help with the family business. As marriages within the same craft guild or business community were not uncommon, women could take their expertise into a new spouse's printing house. 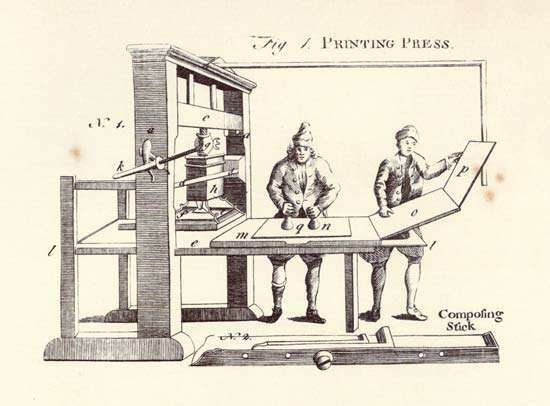 The most common way women came into the management of early printing presses was through inheritance of both the press itself and the royal patents necessary to print law books. This exhibit explores some of the law imprints in Tarlton's collection printed by women. In the hand press period in England, women were involved in every aspect of publishing, from advocating for patents to protect their right to print, to speculating and investing in new titles and printers, to making the paper, casting the type, and finally, selling the finished products in women-owned bookshops. Just as the number of early women acknowledged as authors represent a fraction of the women writers, the women listed on the title pages of early books as printers only hint at the larger story, one most modern readers are unaware of. It's one we hope to continue to explore in Tarlton's collection. Encyclopaedia Britannica, first edition, art: printing press. 1768-71, vol. 3, plate CXLVII, fig. 1. Encyclopédie, ou dictionnaire raisonné des sciences, des arts et des métiers, etc., eds. Denis Diderot and Jean le Rond d’Alembert. University of Chicago: ARTFL Encyclopédie Project (Autumn 2017 Edition), Robert Morrissey and Glenn Roe.